WELCOME Maybe we should explain who we are, what we do and why we do it. We hope you will stay with us for a long time and you to find out on your own. But just in case let’s make an attempt: SHUTTERPASS is a magazine for photography. Since we do not like unnecessary comments and praise, every little piece of text, image or product on the pages of the magazine, is there because we believe in it. And it is entirely authentic. Moreover, we like beautiful things. That’s why we make our best to make SHUTTERPASS beautiful from beginning to the end. Beautiful of course for us, because beauty is subjective. And if SHUTTERPASS is beautiful for you too - then we are “on the same page.” We do not like to be limited. Therefore SHUTTERPASS is entirely online edition - Internet is a great place to reach your full potential without being suffocated with printing and logistics. And though sometimes we lack that sense of smell of paper and freshly printed issue, we believe that the digital format can deliver a lot more and different sensory pleasures, and we plan to use the full potential of the technology. But everything in its time. 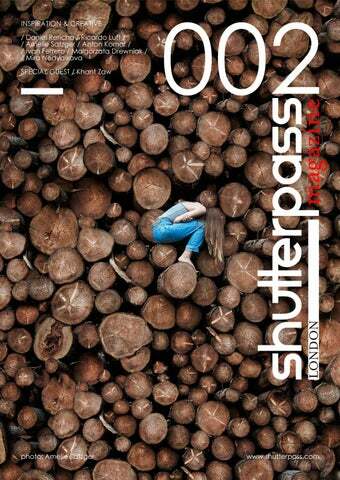 SHUTTERPASS is a monthly magazine, in the best practises of the media. But since at least half of the members of our team are peers of the Internet, we know about the dynamics of the network. Therefore, while waiting for the next issue, you can find your daily dose SHUTTERPASS in our website. We are pleased to meet you. 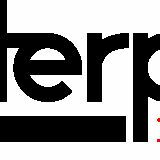 ADVERTISING & MEDIA info@shutterpass.com OFFICE: United Kingdom City of London, N182LF DISCLIMER & COPYRIGHT The team of shutterpass maGazine it’s not responsible for texts, photos and illustrations published within, as owned by the authors. All rights are reserved, reproduction is expressly prohibited under the rules governing copyrights. Photography is not what I do for living and I’d like to get out more for shooting. My work is quite different, therefore is a fun taking pictures, edit and publish them – it became funnier after my first DLSR. Currently I live in a place that offers many natural beauties, specially the beaches. The rocky formations next here are fascinating. I like to shot landscapes, cities and their architecture, urban scenes and sometimes abstract subjects. I also have a strong taste for BW and long exposures. I’ve been using more colors lately and playing with HDR and multiple exposure. S A TZ GER â&#x20AC;&#x153;My photography are my diary. My camera is my pen with which I translate stories and sensations into images, sometimes also emotions that could never be adequately expressed through words. My Canon is always with me when I travel, and I try to capture the magic that is embedded in some moments and make it visible to others. The connection between nature and man is mostly the focus through which my motifs occasionally have mystical overtones. All in all, my subjects have a strong autobiographical influence and whoever confronts my visual creations, learns a great deal about my conceputal world as a photographer.â&#x20AC;? Six years ago I fell in love with photography and now its an essential part of my life. About My photography How to make the great shot? You just need to have passion. At my fine art photography i do accent to seductive, sensuality and womanly. On my photos you will not find professional models. All captured girls just like to be photographed. Ivan Ferrero is photograph from Toledo, Spain. Win a few international awards with his amazing fine art photography.